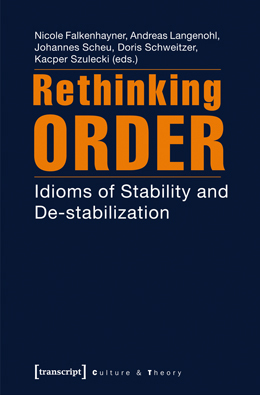 stability is at the core of every discussion of order, organization or institutionalization. From an »inside« perspective, the stability of each order-constituting element is assumed. In contrast, in critical discourses instability (e.g. through ambiguity, or non-control) is located at the outside of the social order as its negative. By treating this argumentative symmetrical structure as »idioms of stability and de-stabilization«, the articles try to rethink order: How can we describe structures from a perspective in which instability, non-control and irrationality are not contrary to ordering systems, but contribute to their stability? How might the notions of identity, knowledge and institution in social and cultural studies be contested by this change of perspective?